Eilis Cullen has been practising meditation for over 30 years and values the experience and benefits of a regular practice in both her personal and professional life. In 2008, she began formal training in the area of mindfulness and completed in-depth and extensive teacher training with the Center for Mindfulness (CFM), University of Massachusetts Medical School. She has been awarded Teacher Certification by CFM and, in addition to teaching the MBSR programme, has been involved in several of their Teacher Training Programmes in Ireland. 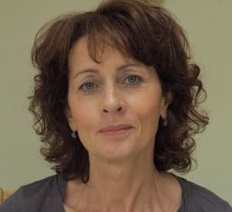 Eilis has also completed several years training on the Masters’ Programme at the Centre for Mindfulness, Research and Practice (CMRP), Bangor University, Wales and holds their Post Graduate Certificate in Mindfulness-Based Approaches, which integrates Mindfulness-Based Stress Reduction and Mindfulness-Based Cognitive Therapy. Having completed Supervision Training (Bangor University) for mindfulness teachers, Eilis is available to offer this resource to support both MBSR and MBCT teachers in their work. Sessions can be in person or by phone. In addition to delivering mindfulness programmes, Eilis is a fully accredited Humanistic and Integrative psychotherapist with a well-established practice in Co. Dublin. In her free time, she enjoys the very mindful pursuit of horse riding. Eilis runs mindfulness practice mornings on the last Sunday of every month, 11am – 12.30pm in the Monkstown Therapy Centre. Contact Eilis for more information. Eilis can be contacted by phone at 086/8622012 or, by email at eilis@mindfultherapy.ie.